Traditional in design, the Sherwood Consoles place the depth and pressure gauges on the same side. 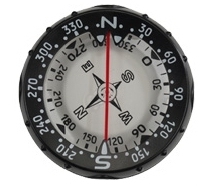 The flip side features a small, round slate, which can be replaced by an optional compass that can be added at any time. Rugged, inexpensive and fully covered by Oceanic's warranty and reputation. 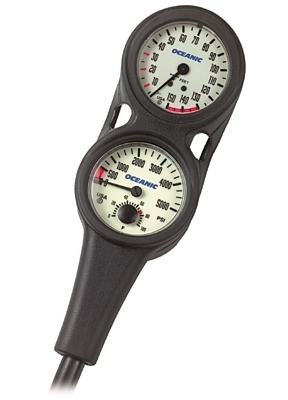 The Oil Filled Depth Gauge is a great value, designed to fit virtually all Oceanic consoles. 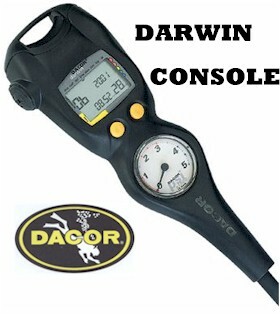 The compact Darwin Console from Dacor incorporates the brand-new Darwin computer with the Supreme Compact submersible pressure gauge. It is controlled by two mechanical buttons, powered by 2 AAA alkaline batteries, and the Display is protected by scratchproof mineral glass. 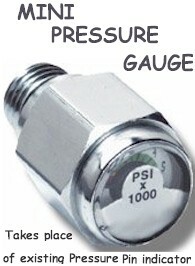 There are three operating modes: Air, Nitrox, and bottom timer (indicated in minutes and seconds). A few of the many other features include Logbook memory for 50 dives and profiles, Fresh/Seawater settings, and maximum operating depth of 200m/656ft. 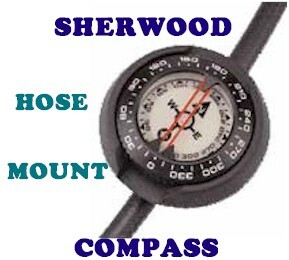 The Sherwood Hose Mount Side View Compass will mount onto any D-Ring or regulator, pressure gauge or buoyancy compensator low pressure hose. The top or side, easy to read lubber line, is on a 360 degree rotating bezel. Full Manufactuers Warranty. 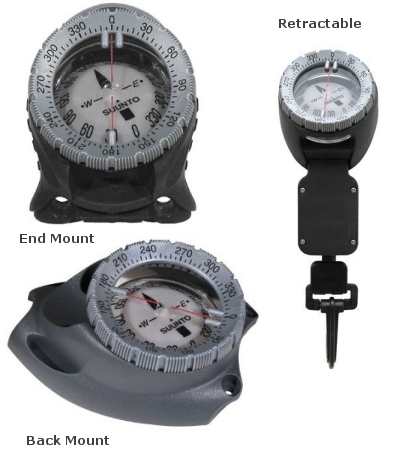 Sherwood's Retractable Compass features a Pro Standard Compass in a high impact case, a 20" stainless steel cable on a secure mounting clip, with a Full Manufacturers Warranty. This kit contains a Handi Oxygen Analyzer, and an Otter Box. 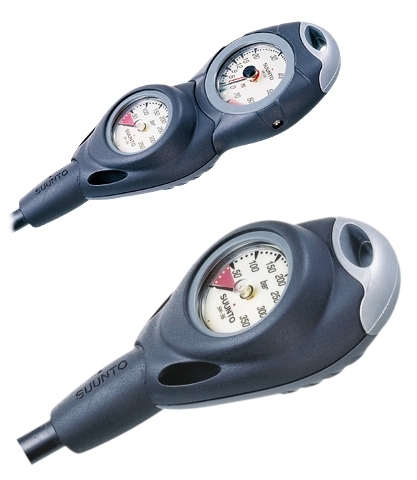 The Oxygen Analyzer is a hand-held unit that verifies oxygen in your air and nitrox tanks. The Otter box is a 100 ft. watertight, crush proof box with a lifetime guarantee. Create your own console with the new Suunto Combos. Its modular concept allows you to create a personal combo according to your own specific needs. 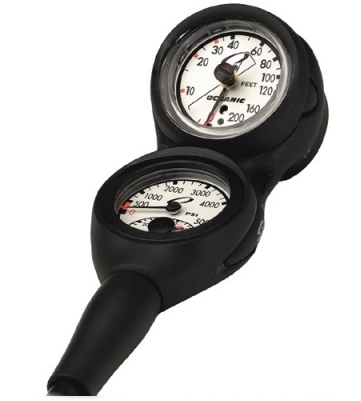 Analog gauges, dive computers and compasses fit together like building blocks, giving you the possibility to add as many instruments as you like. 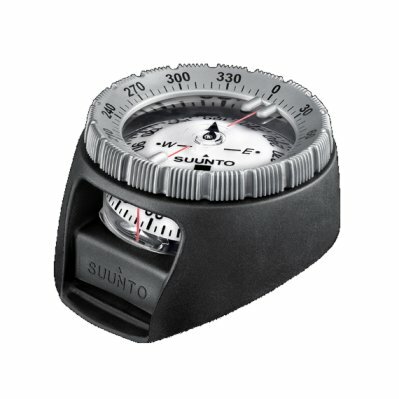 Suunto has been manufacturing compasses since the 1930's and is the world's foremost authority on compass design and manufacturing. 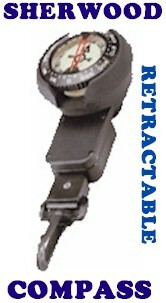 The SK-7 has set the standard for dive compasses. The superior SK-7 features exceptional tilt potential, easy-to-read numerals, and a firm-grip bezel with a ratchet at every fifth degree is specially designed to prevent sand and dirt contamination, thus allowing smooth turning in all conditions. The superior SK-7 has an exceptional tilt potential of +/-30 degrees, which is two or three times greater than in conventional diving compasses. The firm-grip bezel with a ratchet at every fifth degree is specially designed to prevent sand and dirt contamination, allowing smooth turning in all conditions.